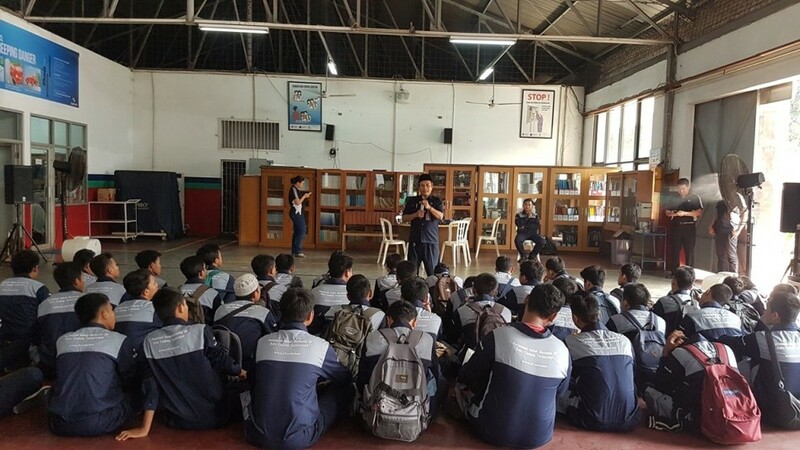 On 27-28 August 2018, 50 trainee mechanics took on an intensive 2-day course conducted by ZF Trainers who came to their school campus to engage them with the very ZF knowledge and expertise that has earned the company phenomenal success globally. Spearheading the future of mobility is not only about having ZF components in everything that moves, or being a one-stop solution for automotive, marine and industrial applications. For PT. 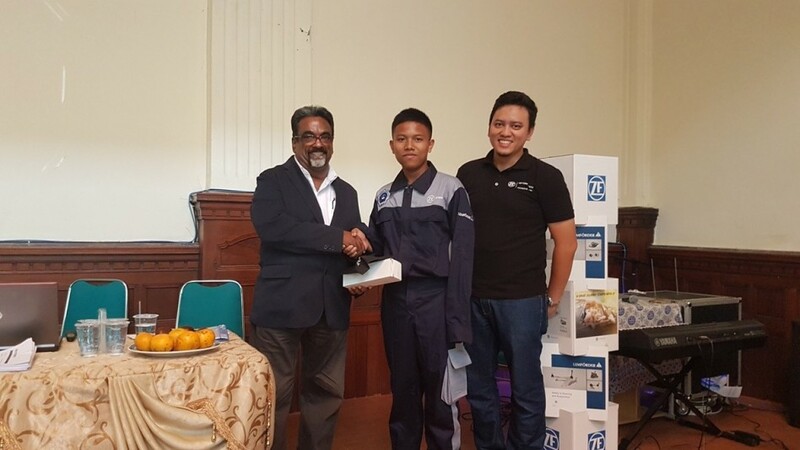 ZFAG Aftermarket Jakarta, it came in the form of reaching out to trainee mechanics – young students who are experts-to-be, potential brand ambassadors, and possibly ZF employees of tomorrow. 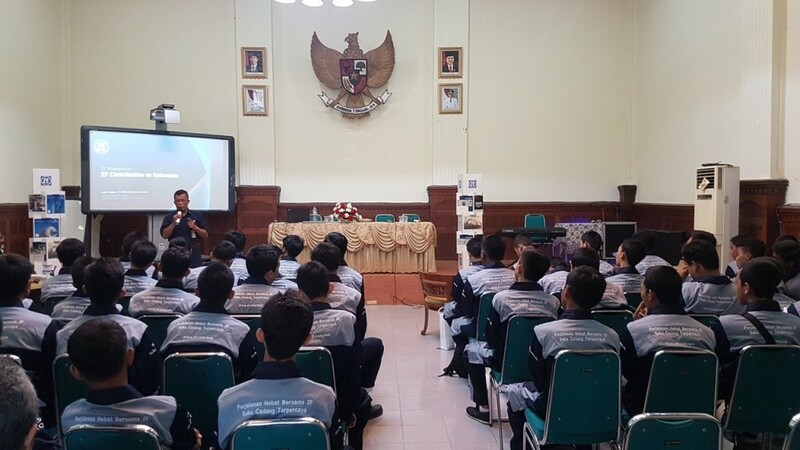 Instead of one of ZF’s high-tech facilities, the training was conducted at SMKN 1 Budi Utomo in Jakarta, the school where the students hone their craft. 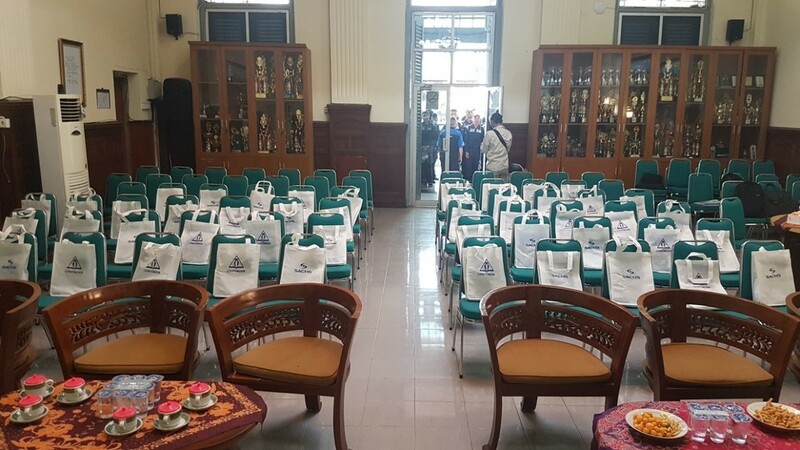 The ZF team was met with eager anticipation from headmaster Drs. Rahmedi, who delivered the opening statement before PT. 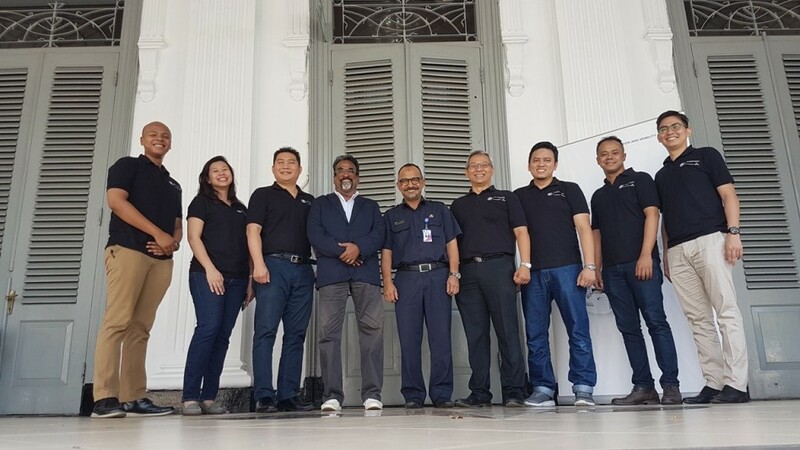 ZFAG Aftermarket Jakarta Director Cakra Wiyata formally introduced ZF with a company overview. 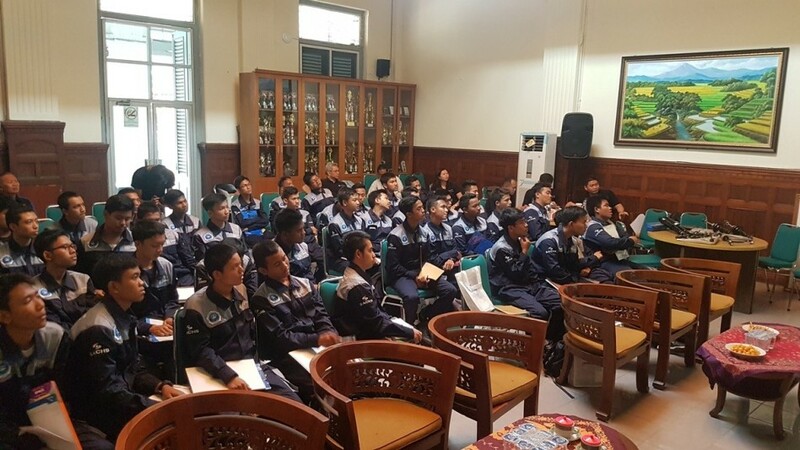 The 50 students from Grade 11 and 12 were first given a pre-quiz to test their prior knowledge before the actual training. On average, they scored 7 out of 14. 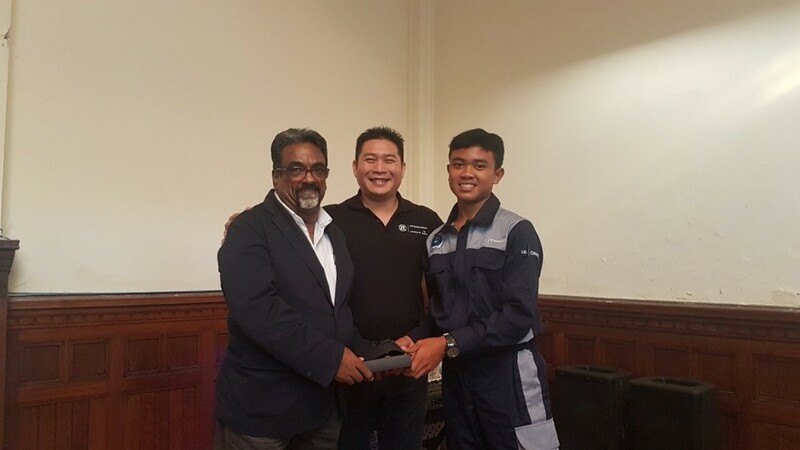 Then, ZF Trainers Eugene Kumar and Rizqi Zulqarnain proceeded to conduct the first day’s syllabus – a comprehensive theory lesson designed to help learners understand ZF’s iconic 8HP and 9HP transmissions, LEMFÖRDER’s German-precise steering and suspension components, as well as SACHS shock absorbers and clutches which are renowned in the Motorsport world. At the end of that session, the students demonstrated their aptitude for learning in the post-quiz with an impressive mean score of 12. After learning from screens and books on Day 1, the students had the opportunity to apply their technical skills in the Learning Center on Day 2. 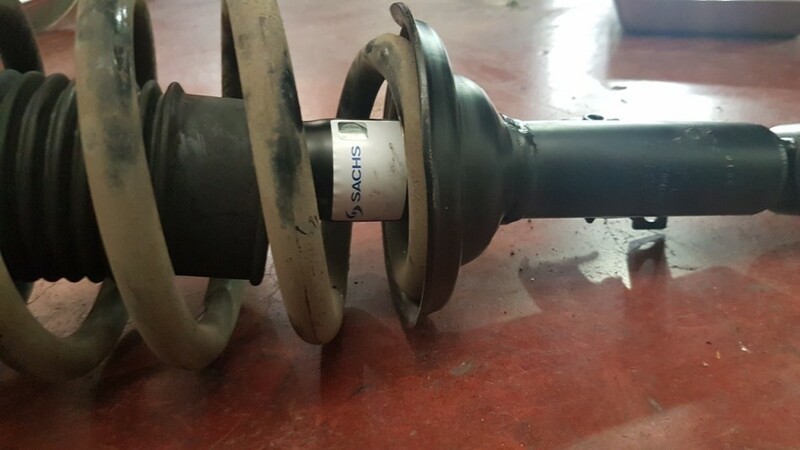 The task – to change and install a shock absorber in a Toyota Innova. 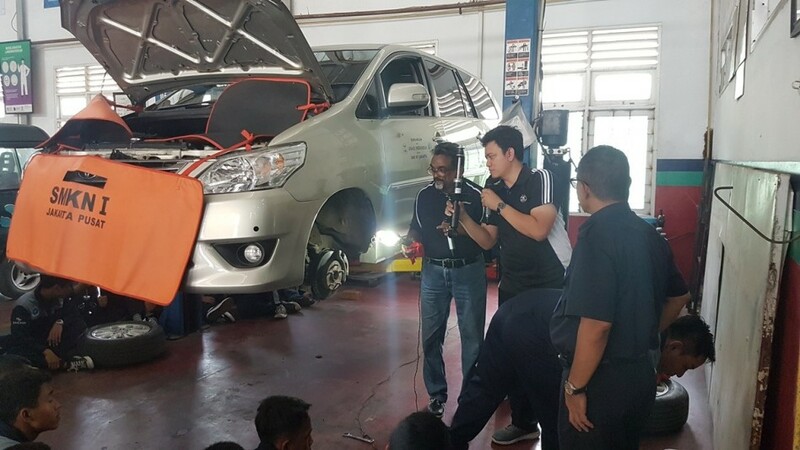 It demanded knowledge of when to change, what to look out for, where to locate each part on the car, and understanding of the functions of different components. After the trainers demonstrated on one side of the hoisted MPV, the trainees were responsible for the other side. To enhance the learning, students could ask questions throughout the process. After 2 eventful days, the training concluded with the presentation of certificates and a photo session. 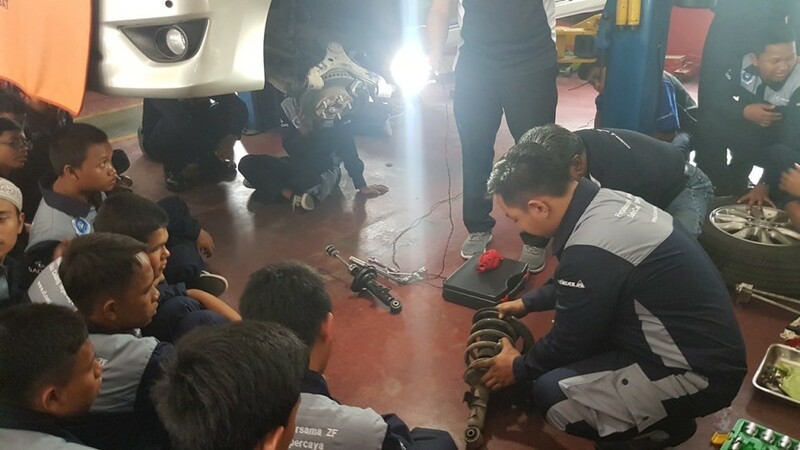 The course might have ended, but it was the start of equipping young students with the necessary skills and knowledge to be a mechanic of ZF’s global standards. It even opened up internship opportunities and kick-started a future-mechanic database. 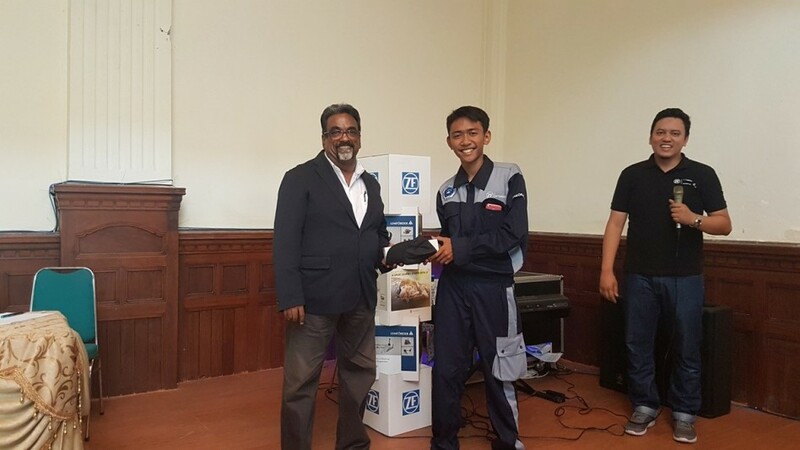 ZF’s brand awareness also enjoyed a boost with banners containing ZF, SACHS and LEMFÖRDER brands hung around the school premises, as well as ZF-branded warepacks proudly worn by students.